With a compressed air filter or air filter for your compressor, less contamination will end up in your compressed air. Furthermore, with Laco Air Solutions advanced compressed air filters you will be able to achieve a minimum pressure loss over the total air treatment process. 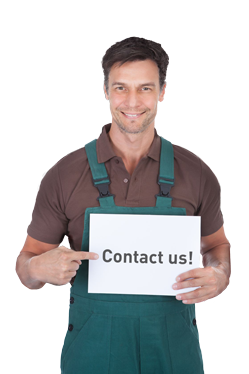 Need a new air filter for your compressor or compressed air installation? Then make an appointment with our compressed air specialists and they will be pleased to assist you further. Do you want your compressed air filters to last longer? With the Laco Air Solutions Service & Maintenance contract, you will be provided with systematic maintenance for your compressed air installation – or parts thereof. In this way, critical processes and expensive equipment are protected, and in addition, every Service & Maintenance contract is made to individual client requirements. Read more about the advantages here! General (coarse) filter: removes particles of up to 1 micron, including merged water and oil particles with a maximum residual value in oil aerosols of 0.6 mg/min3 at 21°C. Dust filter: removes dust particles of up to 1 micron including liquid, water and oil with a residual value of 0.6 mg/min3 at 21°C. The active carbon filter (oil droplet filter): removes oil droplets and the odour of hydrocarbons with a maximum residual value in oil of <0.003 mg/m3 (excluding methane). Oil filters (or fine filters) are exceptionally well suited for the removal of oil up to 0.01 micron, including water and oil aerosols with a maximum residual value in oil aerosols of up to 0.01 mg/min3 at 21°C. WANT TO KNOW MORE ABOUT BUYING AN AIR FILTER FOR YOUR COMPRESSOR? Then contact one of our compressed air specialists today, they will quickly provide you with all the information you require!